The enemy lost the latest Russian-made electronic warfare system near Smile last week. A group of Russian army inspectors has arrived in occupied Donbas to investigate the loss of the personnel and an electronic warfare system. Career Russian servicemen are suspended from commanding militants' units for the period of the investigation. Their duties will temporarily be carried out by local mercenaries until their replacement comes from Russia, the Ukrainian antiterrorist operation (ATO) HQ press centre has said. 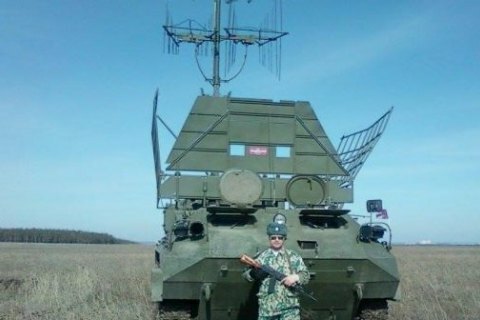 "According to the ATO HQ intelligence, the enemy lost the latest Russian-made electronic warfare system – an R-330Zh Zhitel jamming station – near Smile last week. They attempted to explain the loss of the military equipment with ATO forces' shooting attacks, which the Russian supervisors did not seem to believe," the ATO HQ said. The jamming station may have been destroyed by fire or the lack of competence on the part of Russian servicemen who are now under investigation. Since midnight, the Russian occupying troops have carried out 26 attacks against ATO strongpoints in Donbas. None of Ukrainian servicemen has been hurt.